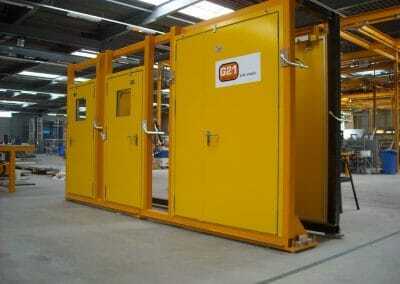 Our G21 blast resistant doors have been designed, manufactured and extensively tested by InterDam BV. 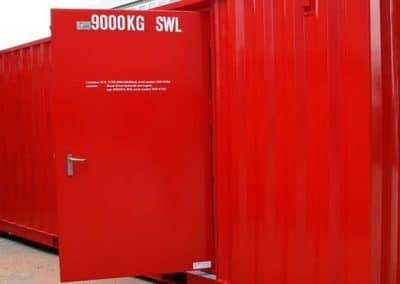 These heavy duty blast doors are in full compliance with all fire and blast resistance requirements, and have fire approval from DNV, Lloyds, ABS and USCG. 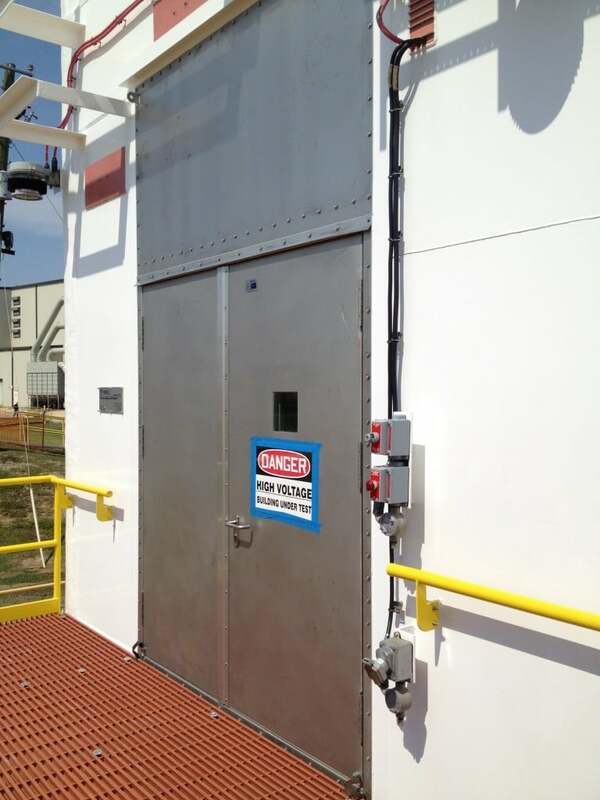 All doors are customized upon clients’ fire rating (and blast) requirements. 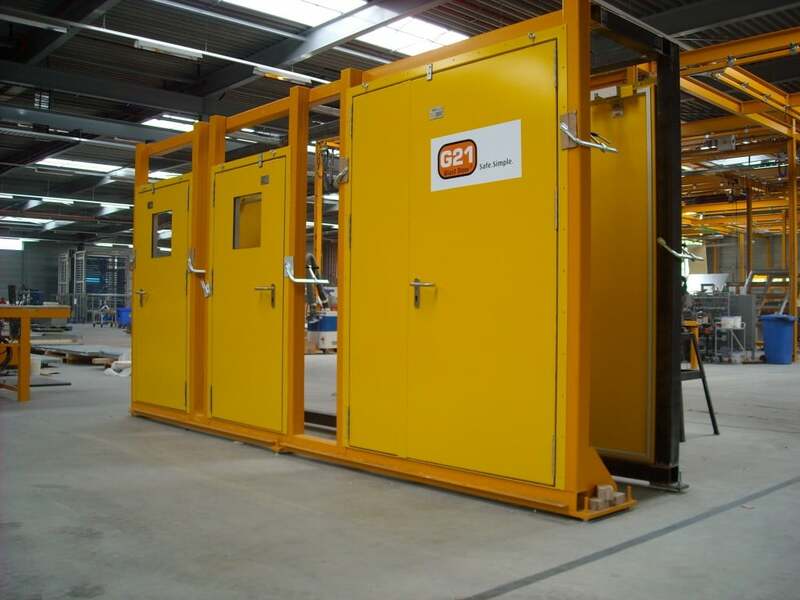 The G21 blast door design has been blast tested up to 1.1 bar blast. If needed, we can increase blast resistance through calibrations of our test results using ANSYS analysis. 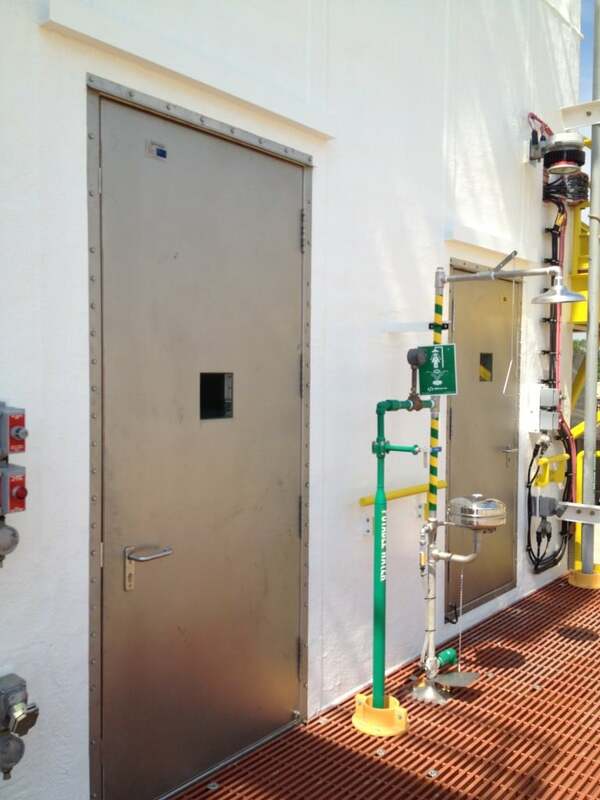 Every door comes with a detailed Basic Design Report written by engineers demonstrating blast code compliance. 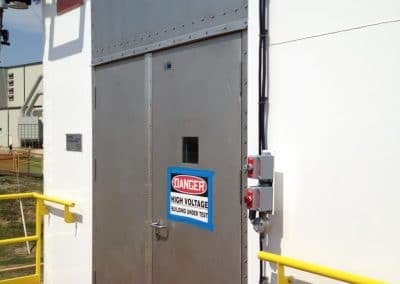 Door leafs are constructed from two galvanized or stainless steel sheet metal panels, sandwiching a heavy duty fire resistant core and solidly assembled to form an extremely rigid, flat panel. 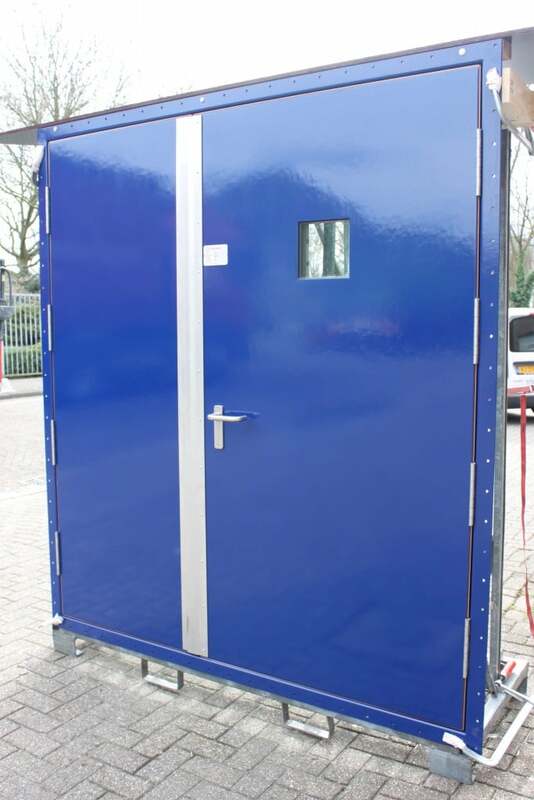 Each G21 blast resistant door is supplied as a single, fully pre-assembled unit. 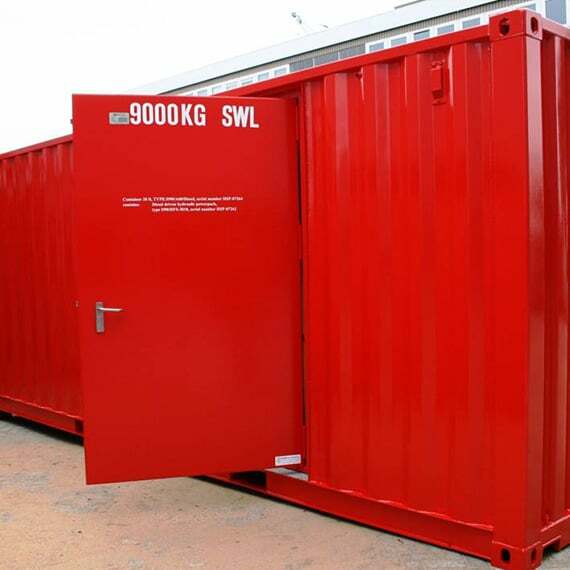 It is ready for wall installation with certified self-tapping screws through predrilled holes in the frame, or by welding if preferred. 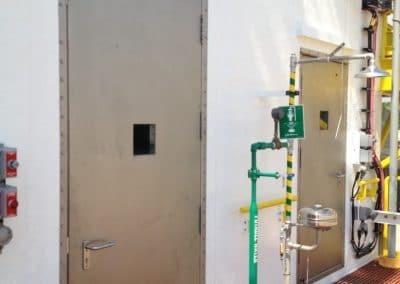 Once installed, it will operate as a normal steel door. 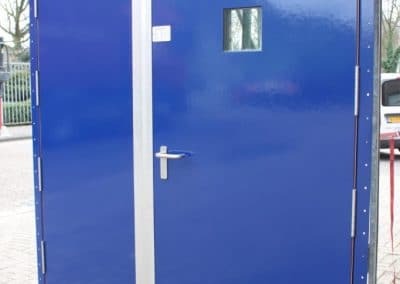 All accessories such as latches, handles and hinges are made of durable and architecturally-pleasing solid stainless steel 316 quality to ensure integrity of the doorunits in more severe conditions.